While it is possible to hire a web designer to customize your Wordpress site, it's always a good idea to know enough about the platform to do the bulk of the work yourself. 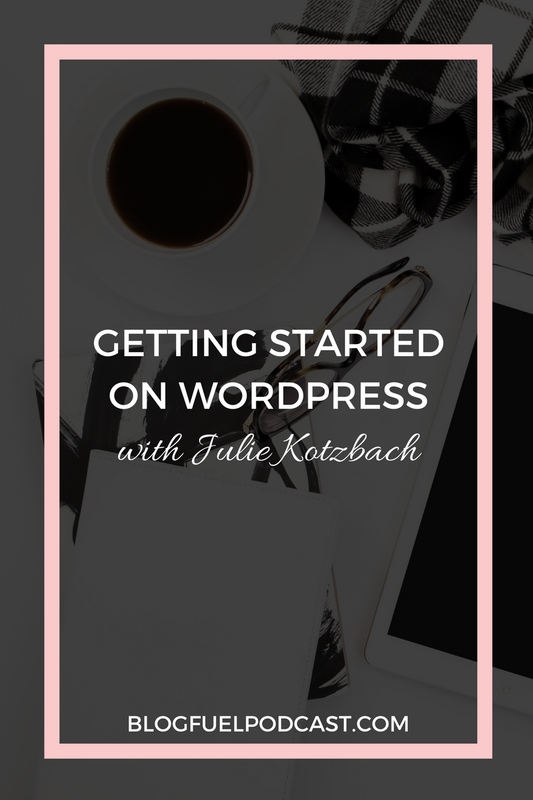 Julie, the blogger behind White Lights on Wednesday, Bread Booze Bacon, and, most recently, DIY Blog Designs, is a self-taught Wordpress designer who has customized numerous blogs for clients. Today she's sharing her knowledge of Wordpress with you, helping you learn how to choose the right theme, host, plugins, and more, to make getting started on Wordpress a breeze! Julie's passion project has turned into her most successful blog, Bread Booze Bacon. Julie loved her designer, but hated having to go through someone else to change things, so she started teaching herself how to design Wordpress sites. Wordpress.com is a free blogging platform similar to Blogger or Wix. Your content is hosted on their servers. Wordpress.org is a self-hosted blogging platform, so you pay for hosting. You have more control, and less risk - you own the site & the content. Budget, traffic, and word-of-mouth are the three biggest factors to choosing a host. If your website is like your house, Genesis Framework (affiliate link) is the walls, the floors, etc. The child theme is the decorative aspects, like the paint, the stucco, the landscaping, etc. Genesis Framework has the functionality built into it, while child themes allow you to customize without disturbing the functionality. You can have Genesis without a child theme, but you cannot have a child theme without Genesis. Keep in mind that live views of demo themes show you every single feature. You can customize these to meet your needs. To see an example of a fully customized site Julie created, visit Southern Revivals. When choosing a theme, think about what you want on your home page and check out features of different themes. The blog pages are generally the same, but the home page is where you get fancy. Plugins are add-ons for your site that can do anything from making your site pretty to adding extra functionality. When plugins and themes need to be updated, update them! Some of Julie's favorite plugins are Akismet, Genesis Simple Hooks, Instagram Feed by Smash Balloon, & Related Posts. Categories and tags are ways to organize content on your site. Categories are the main topics you blog about, while tags should be reserved for aspects of your categories. Have your images sized down before uploading to your site. Hosting images on your own site will speed up your site speed. Self-hosted Wordpress is a versatile blogging platform that allows for many customization options. Julie Espy of DIY Blog Designs shares helpful tips so getting started on Wordpress is a breeze - on Blog Fuel podcast Ep. 018.